On November 20, 2018, the US Food and Drug Administration approved emapalumab (Gamifant) for the treatment of pediatric (newborn and above) and adult patients with primary hemophagocytic lymphohistiocytosis (HLH) who have refractory, recurrent or progressive disease or intolerance with conventional HLH therapy. 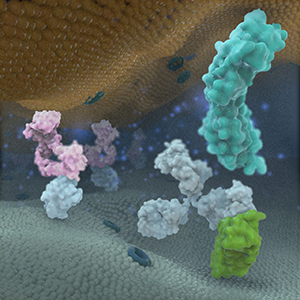 Developed by NovImmune SA, emapalumab is a human IgG1 antibody that targets interferon gamma. 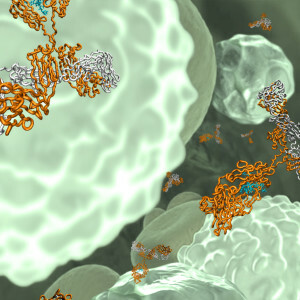 Emapalumab has received a variety of designations intended to facilitate the development of drugs for rare, serious or life-threatening diseases, including Breakthrough Therapy, Rare Pediatric Disease, and Orphan Drug designations in the US, and Priority Medicines and Orphan Drug designations in the EU. The FDA’s approval was based in part on a clinical study of 27 pediatric patients with suspected or confirmed primary HLH with either refractory, recurrent or progressive disease during conventional HLH therapy or who were intolerant of conventional HLH therapy. Results from this study showed that 63% of patients experienced a response and 70% were able to proceed to stem cell transplant. A marketing application for emapalumab is undergoing evaluation by the European Medicines Agency. On March 23, 2017, avelumab (Bavencio), an anti-PD-L1 human IgG1 mAb, was approved by the Food and Drug Administration (FDA) for treatment of adults and pediatric patients 12 years and older with metastatic Merkel cell carcinoma, which is a rare form of skin cancer. Avelumab was granted an accelerated approval, which FDA can grant for drugs for serious conditions to fill an unmet medical need using clinical trial data that is thought to predict a clinical benefit to patients. Under such an approval, additional clinical trials are required to confirm the clinical benefit. The biologics license application was granted Priority review and Breakthrough Therapy designation by FDA. Avelumab was granted a US orphan drug designation for Merkel cell carcinoma, which is diagnosed in ~ 1,600 people in the US every year. A marketing application for avelumab is undergoing evaluation by the European Medicines Agency, which also granted avelumab an orphan drug designation. The marketing applications for avelumab are based on data from the Phase 2 JAVELIN Merkel 200 study (NCT02155647), which demonstrated meaningful tumor responses in patients with metastatic disease that progressed after prior chemotherapy. Avelumab is also undergoing evaluation in Phase 3 studies of patients with other types of cancers, including non-small cell lung, renal cell, ovarian, gastric, breast and urothelial cancers. The Antibody Society maintains a comprehensive table of approved antibody therapeutics and those in regulatory review in the EU or US. As of March 23, 2017, marketing applications for a total of 11 antibody therapeutics that have not been approved in any country are undergoing review in the EU or US. In addition, marketing applications for sarilumab, which is approved in Canada, and gemtuzumab ozogamicin, which was FDA approved in 2000 and subsequently withdrawn from the US market, are undergoing review in the EU and US. Please log in to access the table, located in the Members Only section. Not a member? Please join! Membership is free for students and employees of the Society’s corporate sponsors. Olaratumab (Lartruvo®) was granted an accelerated approval for treatment, with doxorubicin, of adults with soft tissue sarcoma by the US Food and Drug Administration on October 19, 2016. This new monoclonal antibody (mAb) therapeutic targets platelet-derived growth factor receptor-α. The approval was granted in part based on results of a clinical study that compared administration of doxorubicin alone with the combination of olaratumab with doxorubicin. In this study, median overall survival was 14.7 vs. 26.5 months for patients who received doxorubicin alone vs. those who received the combination of drugs. Olaratuzumab’s application was granted numerous FDA designations intended to facilitate the development of new drugs, especially those for serious or life-threatening diseases, including Fast Track and Breakthrough Therapy designations, and priority review. The product also received orphan drug designations in both the US and European Union (EU). On September 15, 2016, the European Medicines Agency’s Committee for Medicinal Products for Human Use adopted a positive opinion, recommending the granting of a conditional marketing authorization for olaratumab for the treatment of advanced soft tissue sarcoma. A decision by the European Commission is pending. 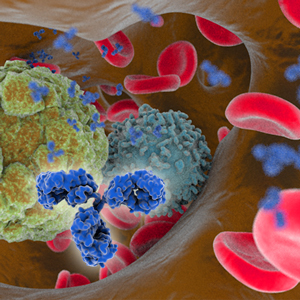 Olaratumab is the 5th new antibody therapeutic to be granted a first approval in 2016. Of the applications for 9 new mAb therapeutics currently undergoing regulatory review in the US or EU (i.e., mAbs not previously approved for any indication in these regions), 4 have FDA action dates known to occur in late October-December 2016. The Antibody Society maintains a comprehensive table of approved antibody therapeutics and those in regulatory review in the US or EU. Please log in to access the table, located in the Members Only section. On June 1, the European Medicines Agency (EMA) announced that four medicines in development were accepted under their new PRIority MEdicines (PRIME) scheme, which focuses on medicines that may offer a major therapeutic advantage over existing treatments, or benefit patients without treatment options. In this voluntary scheme, EMA offers early, proactive and enhanced support to developers to optimize the generation of robust data on a medicine’s benefits and risks, and enable accelerated assessment of medicine applications. Early clinical data that shows a medicine has the potential to benefit patients with unmet medical needs must be provided for it to be accepted for PRIME access. Of the four medicines given PRIME access to date, two, aducanumab and NI-0501, are antibody therapeutics. 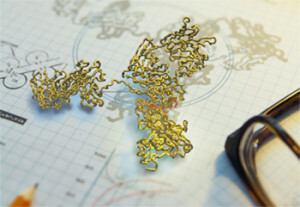 Aducanumab, which targets amyloid beta, has PRIME access as a treatment of Alzheimer’s disease. The antibody is currently being evaluated in two Phase 3 studies of patients with early Alzheimer’s disease. The primary objective of the studies is to evaluate the efficacy of monthly doses of aducanumab in slowing cognitive and functional impairment. An estimated 1350 patients will be enrolled in each study. Both studies were initiated in 2015, and have primary completion dates in February 2020. NI-0501, a human mAb targeting interferon gamma, has PRIME access as a treatment of primary hemophagocytic lymphohistiocytosis (PHL). A Phase 2, open-label, single arm study to explore the safety, tolerability, pharmacokinetics and efficacy of intravenous multiple administrations of NI-0501 in children with PHL is currently recruiting patients. The study was initiated in 2013 and has an estimated enrollment of 10 patients. The primary completion date of the study is December 2016. NI-0501 has orphan drug designations in the European Union and United States. It also has the US Food and Drug Administration’s Breakthrough Therapy Designation, which, like the PRIME scheme, is intended to expedite the development and review of new therapies for serious or life threatening conditions that have shown encouraging early clinical results over available therapies. Find information about the four medicines accepted under the PRIME scheme here. Like this post? 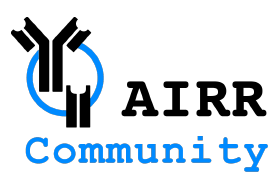 Please support the Society by registering here for a membership!